Get the most from your TRICARE or CHAMPVA Supplemental Insurance plan. Our supplements work with the TRICARE or CHAMPVA health insurance you already have. You may have received a notification to announce that your TRICARE or CHAMPVA Supplement Insurance Plan is being transitioned to a new underwriting insurance carrier, effective January 1, 2019. The new carrier is Hartford Life and Accident Insurance Company, Hartford, CT 06155. This change will help us serve you better. There were no changes to your plan rates. If you use your bank’s online bill pay service to pay your TRICARE/CHAMPVA supplement insurance premiums, you’ll need to log into your bank’s website and update your account number. Enter your new Member ID number that’s on your new insurance card. Making this change will ensure your payment is applied correctly. If you don't use online bill pay, then this doesn't apply to you. Use eService to access your account or pay a bill online. Download an Automatic Payment Form (APO) to make deductions from your bank account or credit card. Contact us at 800-638-2610 if you would like to speak with a friendly customer service rep, or Contact Us. Using your insurance is as easy as submitting a claim form. To determine if the TRICARE Supplement plan’s deductible was met. To determine if there are limitations or catastrophic maximums that have been met. Whether there is a pre-existing condition that would be excluded under the TRICARE Supplement plan. Ensure all forms were properly submitted. Making sure covered services for TRICARE Supplement plan follows TRICARE guidelines. This means that if TRICARE approves the service, we approve the service; If TRICARE denies the service, the TRICARE Supplement plan will deny the service. Watch this video about claims. 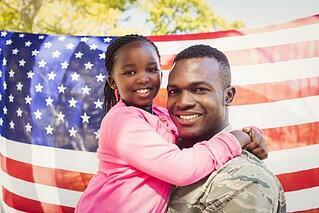 TRICARE Supplement Insurance Plans are subject to the terms and conditions of the policy. Policies underwritten by the issuing company listed below detail exclusions, limitations, reduction of benefits and terms under which the policies may be continued in force or discontinued. The TRICARE Supplement Plans are administered by Selman & Company and underwritten by Hartford Life and Accident Insurance Company, Hartford, CT 06155. The Hartford® is The Hartford Financial Services Group, Inc., and its subsidiaries, including issuing company Hartford Life and Accident Insurance Company. NOT AVAILABLE IN ALL STATES. TRICARE Form Series includes GBD-3000, GBD-3100, or state equivalent.